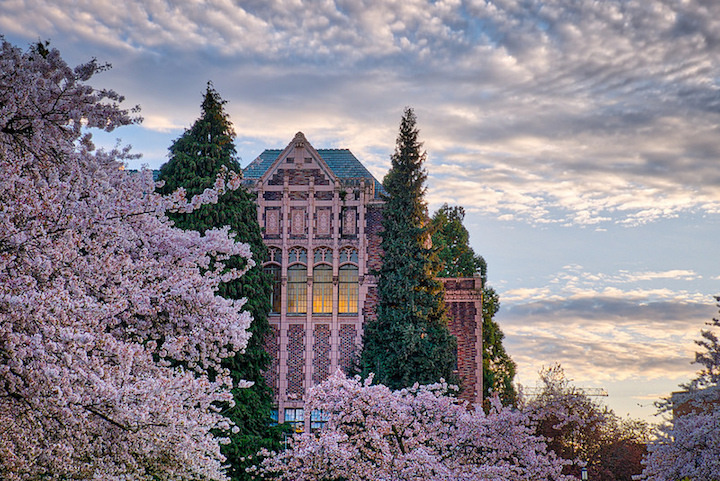 The University of Washington (also known as UW) is one of the most frequently searched universities in America, according to a recent internet keyword search of American colleges. UW is a public research university with three campuses in the state of Washington. The college was founded in 1861, and currently educates more than 54,000 students each year, most of them studying at the undergraduate level. The acceptance rate for undergraduate applicants to the university is approximately 45 percent. UW remains on the cutting edge of technological advances. 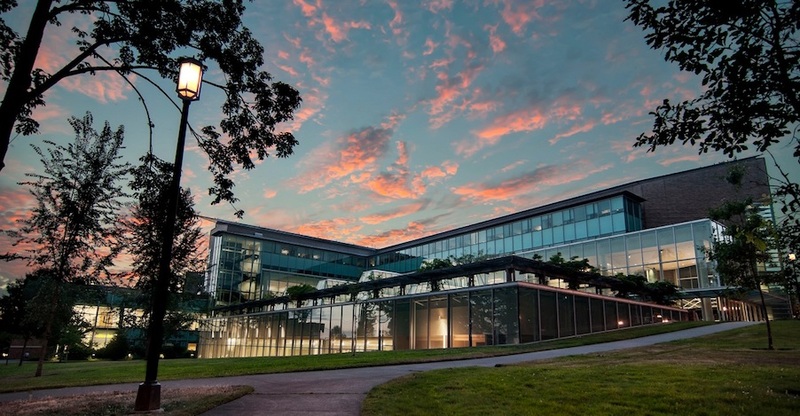 The school was recently ranked 10th in the world among global universities by U.S. News and World Reports. That's why UW is considered one of the "public ivies," meaning a public institution that provides a level of education roughly equivalent to what you might get if you attended an Ivy League school. Notable UW alumni include MySpace cofounder Chris DeWolfe, martial artist Bruce Lee, Olympic rower Joe Rantz, Baskin Robbins cofounder Irv Robbins, and architect Minoru Yamasaki, to name only a few. Shown here: Cherry trees in bloom on the UW campus. Here are the answers to some of the most frequently asked questions about UW. 1. Where is the University of Washington? 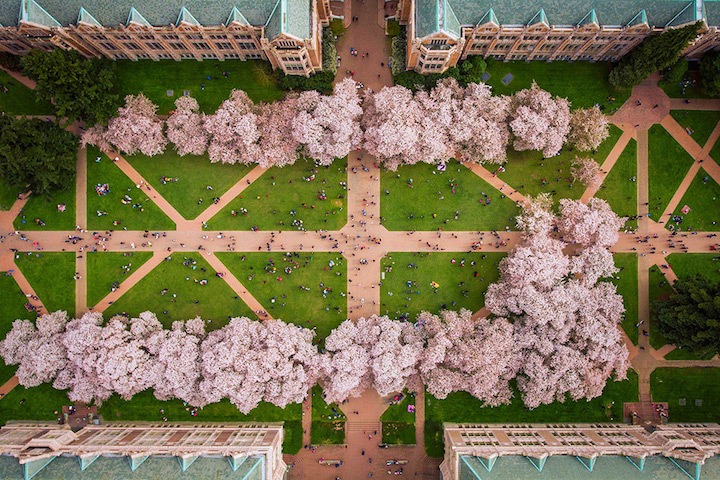 Shown above: An aerial view of the quad on the UW campus in Seattle. 2. What is the organizational structure of the University of Washington? 3. What undergraduate majors are offered at the University of Washington? At the university's other schools, undergraduates can take courses in health sciences, education, engineering, business, social work, and other subjects in numerous fields of interest. Shown above: The UW campus in Bothell. 4. What graduate programs are available at the University of Washington? UW features numerous graduate programs, at both the Masters and the Doctoral levels. Among these programs are Medicine and Law, as well as high tech topics such as data science and information technology (IT). Go here to see a list of the Doctoral (PhD) programs at UW. 5. 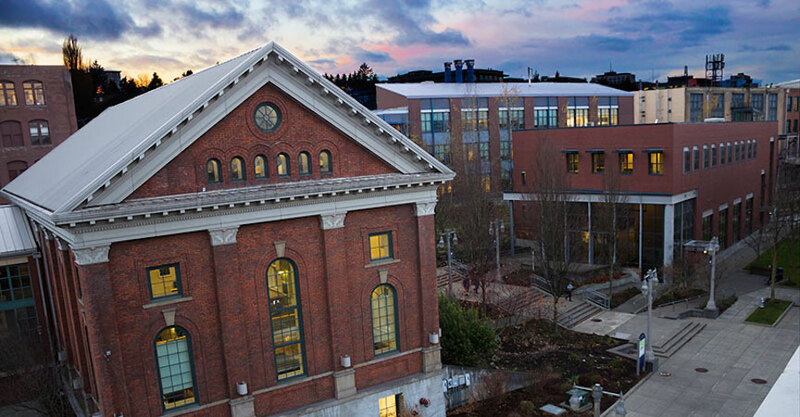 What programs are available at the University of Washington School of Law? 6. How much does it cost to attend the University of Washington? The cost of graduate level enrollment will vary by school. Additional fees may also apply. These may include application fees, registration fees, parking fees, health fees, technology fees, and insurance fees, to name just a few. Many students who apply to the school are eligible for financial aid, as long as they successfully fill out the FAFSA form. Graduate financial aid may also be available at UW. 7. What is the University of Washington campus like? The main campus of the University of Washington in Seattle spans about 700 acres in an urban setting. At the heart of the campus is Red Square. The UW campus is home to museums, libraries, and other points of interest. Campus landmarks include the Suzzallo Library, the Broken Obelisk, and a statue of George Washington. Surrounding these landmarks are classroom buildings, administrative buildings, and many convenient residence halls. Student housing is available, both on and off campus. The athletic teams at UW are called the Huskies. They play for Division I of the the NCAA, Pac-12. The team colors are purple and gold. Non athletic activities on campus include music groups, culture clubs, student government associations, service organizations, campus publications, a TV station, a radio station, and plenty of sororities and fraternities, to name just a few of the clubs you can join, if you have the time. 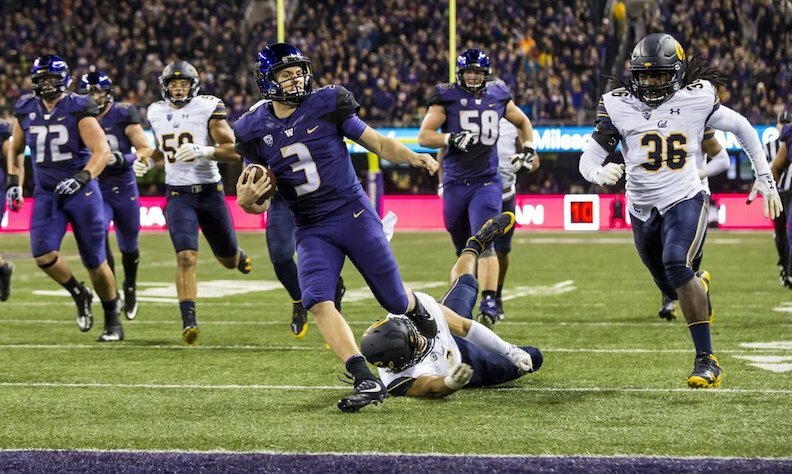 Above: The UW Huskies varsity football team in action. 8. What are the distance learning options at the University of Washington? 9. What is the contact information for the University of Washington? You can reach the main campus office of UW at Seattle by calling 206-543-2100. 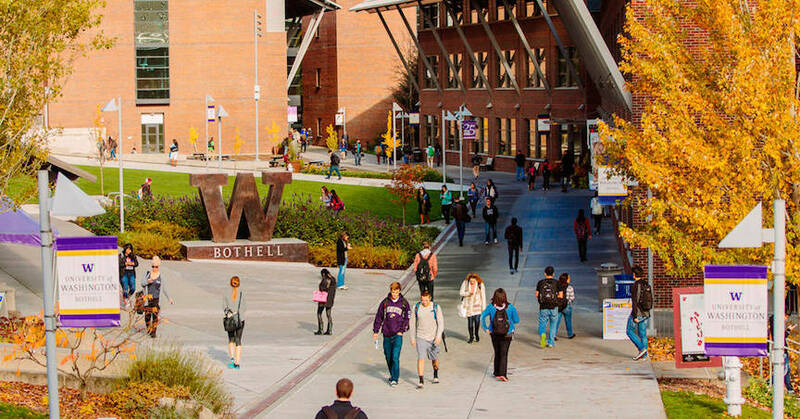 To speak with someone at the UW campus in Bothell, call 425-352-5000. To contact the UW Tacoma campus, call 253-692-4000. 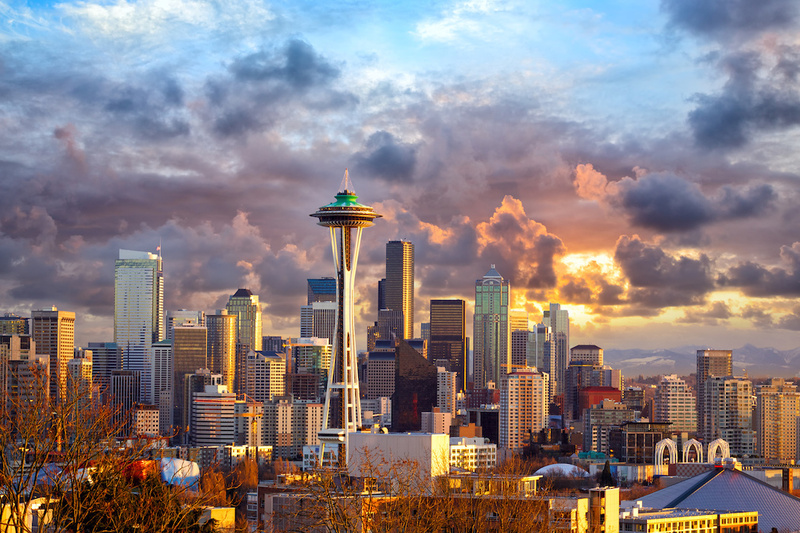 To reach the UW School of Law in Seattle, call 206-543-4550. If you have questions regarding tuition or financial aid at UW, call 206-543-4694.